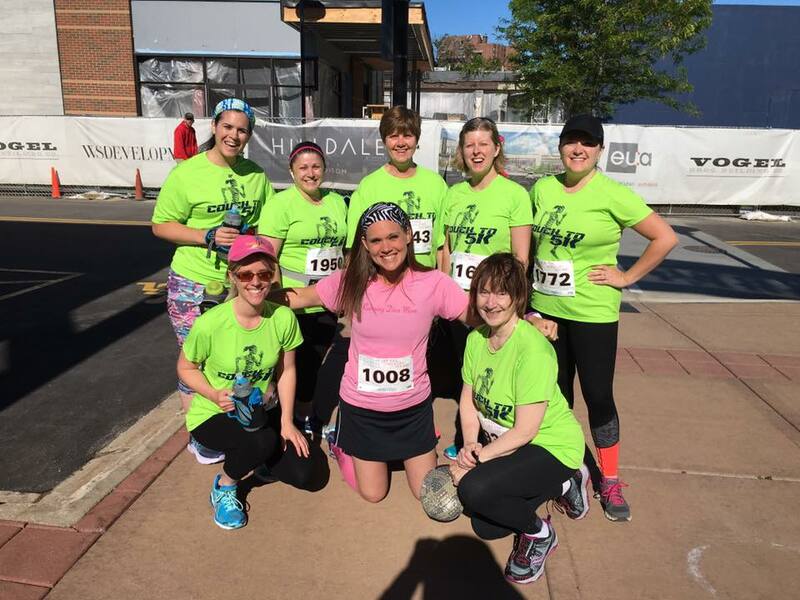 Little Diva's Dash Fundraiser - a Huge Success! Little Diva, Little Dude and I had made a summer bucket list. We've enjoyed pulling slips of paper out of the sand bucket throughout the past couple of months. Some things were new experiences for ourselves, some were places to visit, some were free activities and some would require some planning. But, one item in the bucket wasn't for us - it was for others. 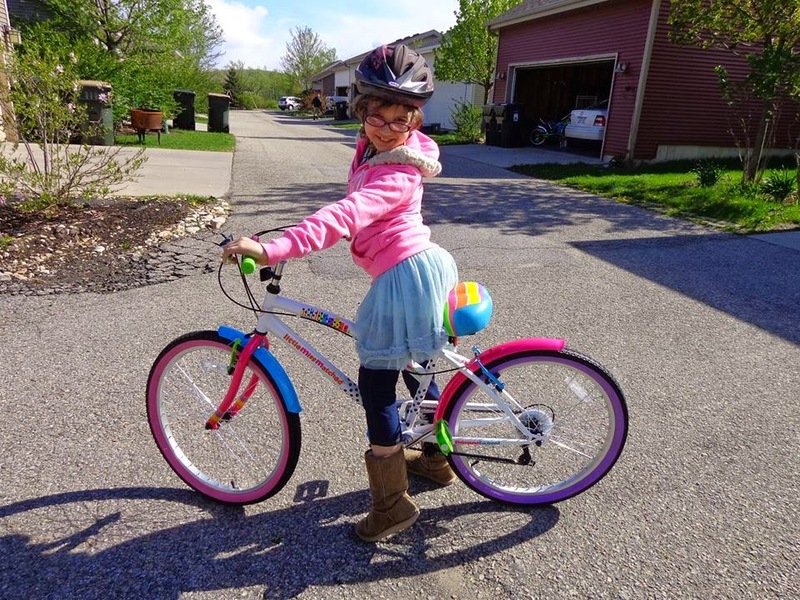 Little Diva stated that she wanted to donate or fundraise for an organization of her choice. 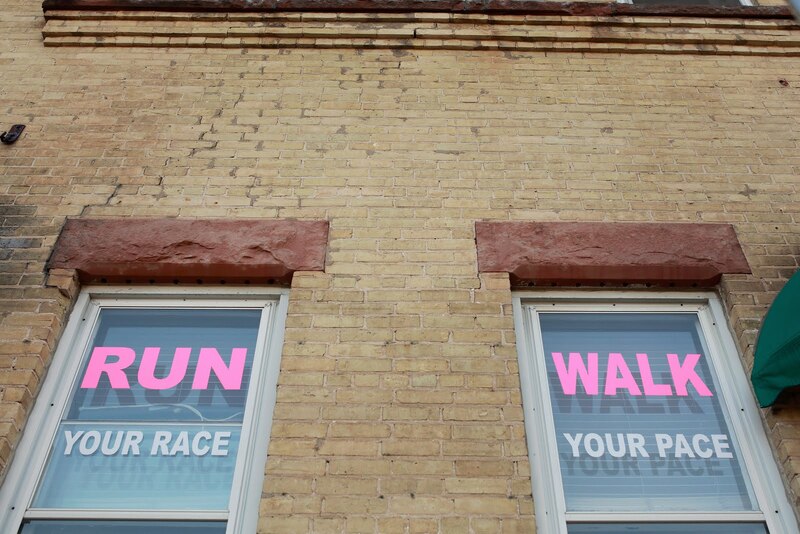 We chose two organizations together - Girls on the Run of Dane County and the American Family Children's Hospital. I suggested that I could help her coordinate a family fun run/walk at the end of the summer. She loves organizing and planning things - just like her mother - so we quickly started working on the details and putting together a Facebook event page. 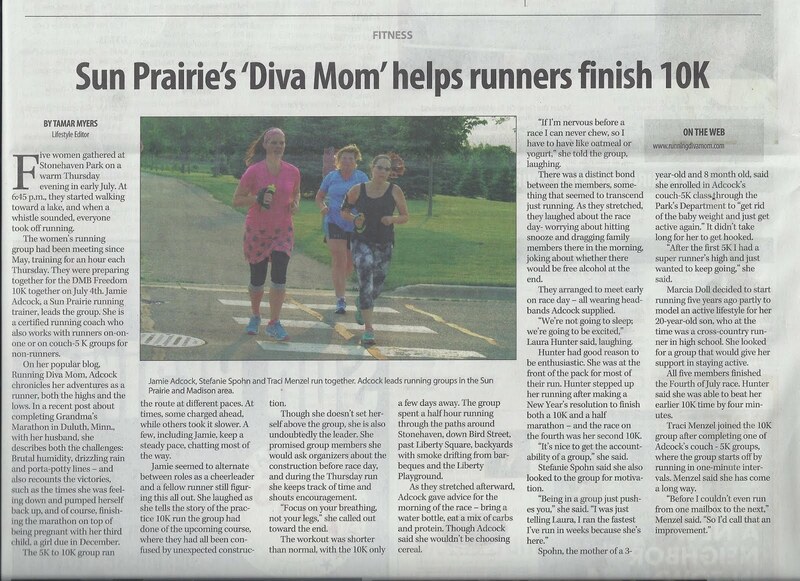 We called the event Little Diva's Dash and chose to host it at Orfan Park in Sun Prairie on Sunday, August 17. This is our favorite park to run an play. We suggested a $10 donation for adult participants and encouraged them to bring their children along for free. We were amazed by all of the cars coming from near and far that morning. She was ecstatic for the fourty-or-so adults and children that came out for her event. 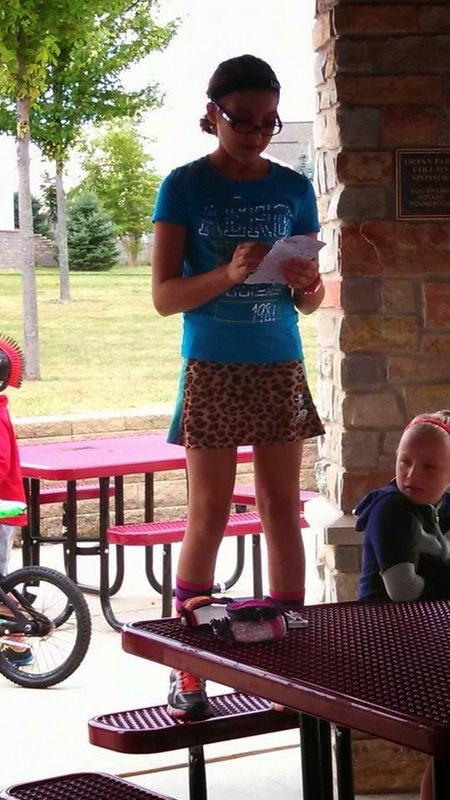 She accepted their donations at the park shelter (she received many mail in donations as well) and offered raffle tickets to each of the participants. After her effortless speech I teared-up with pride. We then headed out for an out and back route - some ran, some walked, but all had fun. It was awesome seeing so many friends, family, clients - and even strangers - come together to support my Little Diva. When we returned back to the shelter, we stretched and enjoyed cupcakes that were purchased by her stepdad. We also raffled off three prizes. We would love to make this an annual event, because it was such a positive experience for our family. Little Diva's goal was to raise $75 for each organization - $150 total. She ended up raising a total of $400 after the event and was so proud to deliver these donations in person. A few days later, we visited the Girls on the Run of Dane County headquarters to deliver $200 to Sara, the Executive Director. Sara mentioned that one or two girls would be able to participate in the program this fall because of Little Diva. 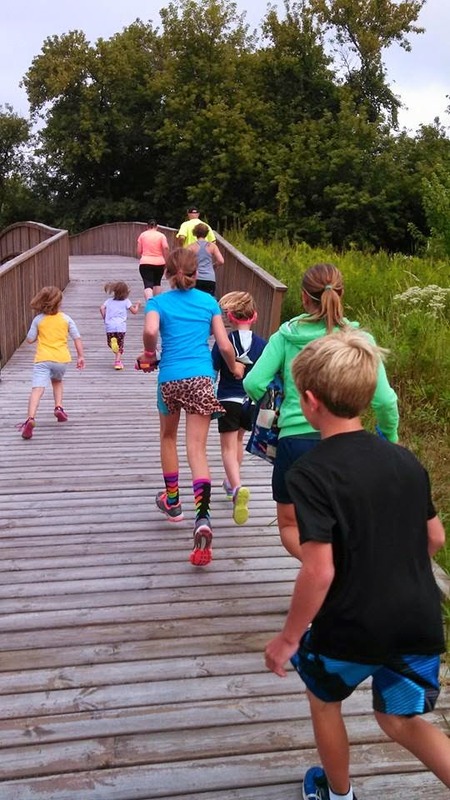 Girls on the Run guides girls through a running program, as they train their body for a local GOTR 5K. They also share a curriculum with these elementary-aged girls that focuses on social issues, such as: body image, self-esteem, bullying, and many other topics that I wish I would have had an outlet for years ago. Little Diva went through the program two years ago herself. Little Diva was so excited to receive a beautiful thank you note from the GOTR organization as well as a GOTR t-shirt. She has been wearing it with pride! We then traveled over to the University of Wisconsin Campus to deliver her donation to the American Family Children's Hospital. She received an overview of what kind of patients stay at the hospital, how long their stay may be, how it effects their school work, their family life and so much more. We received a tour of the charming, main level of the children's hospital. We learned that the children's hospital has several teachers employed full time to help long-term patients stay current with their school work. Little Diva asked a few questions and gave an overview of the event she had organized. And then she handed over her donation. I am so proud of my little girl and her fundraising and organizational efforts this summer. We want to thank everyone that attended, donated or expressed an interest in her fundraising efforts. On Saturday, hubby and I had ten miles on tap. I had taken Friday off to rest and was up for the challenge. It was EXTREMELY humid (again) and you could see and feel the moisture in the air. There was a dense fog as far as you could see and everything outside was wet and damp. I loaded up my handheld water bottle with ice, hoping that it would keep me cool and hydrated for the next hour and a half. I had a bowlful of Life cereal before I left the house, and some greek yogurt. This tends to be the best pre-run breakfast for me. A little bit of cereal and some yogurt keeps me full, fueled and doesn't give me a sloshy stomach. We left from home and zig-zagged through Sun Prairie, heading east on an out-and-back course. I was feeling great and continued to sip on water the entire way. I love running with my husband. He is one of those friendly runners that says hi to everyone and waves and folks that we pass by. He waves a runners, walkers, cyclists, folks sitting on their front porch, cars that let us pass at intersections. It has really made me more conscious of interacting with other people we cross paths with on our routes. It doesn't take much to smile when you are pushing it hard or give a friendly wave while out on a run. On the way home, I put on the Mumford & Sons portion of my playlist and kicked it into gear. I was feeling so much better than my painful run on Thursday evening. I didn't encounter any lack of energy or side aches and my breathing was under control. As I increased my speed the last couple of miles, I really focused on the beat of the music, timed it with my footwork and then focused on my breathing. I keep my posture high and tried to relax my shoulders and my elbows. We clocked in at just under a 9:45 min/mile pace after ten miles was all said and done. My slowest mile was a 10:14 and my fastest was the last mile of 8:42. I was pushing it and love seeing those negative splits at the end of a long run. It was more humid than ever, and our clothes were drenched. I was so glad that I wore a tank top. And I was appreciative that the sun didn't come out for our run. That could have been brutal. We spent the rest of our day enjoying a family dinner and cupcakes, in celebration of both of our mothers who happen to share a birthday on Monday. My mother in law was staying at our home on Saturday evening. So we weren't sure what time we would get out for our twenty miles on Sunday. We really looked forward to turning in early, sleeping and having some coffee with her on our deck on Sunday morning. The run would follow when time allowed. We got up around 7:00 on Sunday morning and enjoyed a pot of coffee on our deck. The forecast changed from 91 degrees to the lower-to mid 80's. However, the humidity was going to be at 75%. There was a nice breeze outside, while we enjoyed our coffee and the sun was still behind the clouds. It was a beautiful morning, though the humidity was still there. Before we were ready for our run, I enjoyed a small bowl of cereal, a piece of toast with honey and a greek yogurt. I also enjoyed an Advocare Slam, to give me some energy for the twenty miles ahead of me. We enjoy the power punch flavor and it gives us tons of energy when we needed it. It also tastes so much better than some of the other energy shots we've tried and goes down smooth. I opted for another running skirt, passed on the compression socks (because of the heat, humidity and tan lines) and looked forward to wearing a tank top. I skipped the Bondi Band and just through my hair in a ponytail and went sans makeup. I can't seem to wear a Bondi Band when my hair is up. They only stay in place on my head, when my hair is down. I wanted my hair up and to be as cool and comfortable as possible. I also looked forward to going without makeup, because I knew that I as going to be sweating like a sweaty betty and would be constantly wiping my face and the salt out of my eyes. 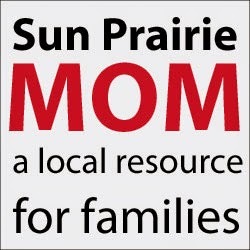 We left from our home and headed to the west side of Sun Prairie. We had to cross some traffic lights the first couple of miles and hubby had to retie his shoe. So we lost a few seconds here and there. We got into a rhythm as we headed out to the Wyndham Hills subdivision. We conquered some significant hills in that area and then enjoyed a nice down hill the rest of the way. We stopped at the park to use the restroom around mile five and wiped off, took an energy gel, drank some water and filled up our handheld water bottles. We then headed east along Hwy 19 and crossed some more traffic. We headed out on the paths that connect across town and then towards Orfan Park. Hubby had a contact problem before we hit the park and we had to stop (and stopped our watches) while he found the contact that was stuck in his eyes. The sweat and salt didn't help much with this issue. We got that worked out and then headed through Orfan Park, Liberty Station Park and then on to Stoneridge Park. At mile 8, the sun came out and was hot - humid as heck - and was beating down on us. We were slowing down little by little and I was starting to feel warm. Since I had that bought of heat exhaustion during our last twenty miler, I felt a moment of panic in my head. We talked about cutting the run short, but then decided to just keep heading out on our planned route. We would continue to be safe, find shade when we could and do lots of stops for refueling, water and ice. We stopped at the nice gas station at Liberty Station and they gave us ice and water from the soda fountain and we toweled off with paper towel in the restrooms. This really seems to help me. We headed out refreshed. I chewed on ice, enjoyed ice cold water and rubbed ice cubes on my neck and arms. 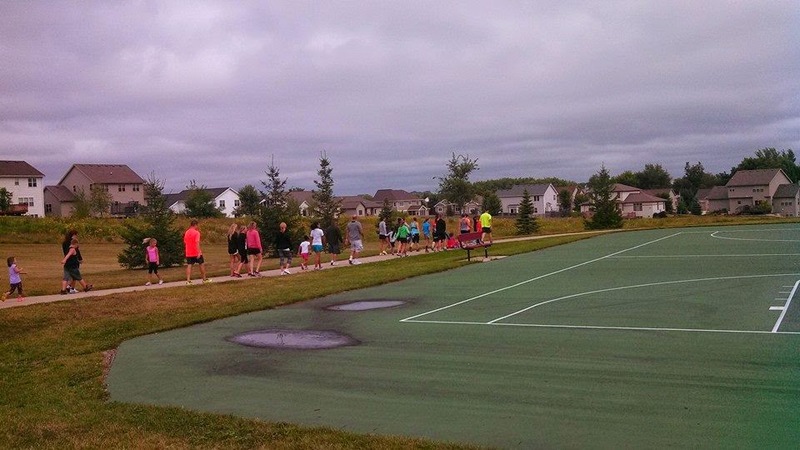 We ran through Stoneridge Community Park and then out through the Sun Prairie business park. I started to feel like I was falling apart at this point. There was no shade and the scenery was - well, boring. I think we will be avoiding that area for our long runs in the future, as we both agree it was unmotivating. We headed through the east side of town and up the hill at Musket Ridge. We saw a lot of familiar faces out-and-about, from our Saturday run through the same neighborhood. I chugged up that hill, pumping my arms, and embraced a nice breeze that cooled me down as I neared the top. We stopped at Carriage Hills Estates Park to refill on water again. We also consumed another gel. My husband was starting to feel water logged from all of the water we were consuming to stay hydrated. We continued our run through the neighborhood and then crossed Hwy 19, to stop at a gas station near Angell Park. The attendant was kind enough to allow us to fill up on more ice. This was REALLY needed at this point. We chewed on more ice and then did a slow walk to the stop light. We headed again up the boring 3.5+ miles from Cannery Grill to our neighborhood. This uninspiring route is always pretty boring, but it had to be done to get home. We encountered rolling hills and more heat and sun. My legs were not buckling like they normally are on long runs. Though my right ankle was starting to feel sore (and remained sore for several days after). My husband was starting to feel really tired, as we stopped at Sheehan Park for even more water and took a break for a minute or two. We then ran the last couple of miles home at our own pace. We had a non-verbal agreement to just make it home at our own time. I cranked my tunes and got my breathing and footwork in a rhythm. He wasn't far behind me. I calculated that I would need to make an extra mile up somewhere, to get an even twenty miles in before arriving at our back door. So, I took a turn on a local bike path, while he opted to head home and run/walk the last mile home - to finish with nineteen miles. My music helped me pick up my pace and my last miles were some of my quickest of the day - 10:51, 10:20 and finally 10:09 miles. Twenty miles done for the day. Thirty miles done for the weekend. I took Monday as a rest day!! It was THAT HUMID last night during our 8 mi run! STEAMY!!! I would have quit if it weren't for my hubby - and Mumford and Sons﻿ - pushing me!! I brought out the Lamaze breathing techniques for the second half, too. If I can endure childbirth without pain medication, I can do anything. Pain is pain ... and pain will go away. It's temporary. Clothes were soaked, hair was drenched, stomach cramps endured, but somehow I ended with significant, negative splits! Sometimes I doubt myself, when I'm feeling like ICK during my runs, but then part of me says, "I KNOW I can do it. I've done it before. I will do it again. I can push myself.". Never judge a run by the first mile or two. The marathon training miles have been adding up. The diet has been pretty clean. I'm eating breakfast daily. I'm drinking tons of water. And, I'm still allowing myself indulgences. My body is CHANGING! I'm seeing a difference. I'm feeling a difference. But, I'm no longer seeing a difference on the scale. The best part is that I feel comfortable in my clothes right now. Not as much pulling and tugging on clothing to cover my midsection. I'm wearing more shorts, more fitted tops and more tank tops. Some things are FITTING again - or for the first time. Marathon training - and having a plan - really inspire me to be an all-around healthier version of me! How do you feel when the scale doesn't move?If you lose inches vs weight - are you truly satisfied? Or, do you still wait for that scale to budge?? Love this top from Handful. 18 turned into 20. Heat exhaustion. Hubby and I ran 10 miles on Saturday and had 18 planned for Sunday. With a kid-free weekend upon us, we opted to sleep in. We both needed it. Unfortunately, that meant that after coffee and breakfast, we didn't get to the Glacial Drumlin trailhead in Cottage Grove until 10:30. A little too late for a Sunday morning run in August. The sun was warm, but not too intense. And the path has quite a bit of shade after you get over a mile into your route. The only water and restrooms are at the trailhead and in Deerfield at mile seven. We packed a cooler and planned on doing seven miles out, seven miles back and then heading back out to do the final six miles. We started our Garmins in sync and headed out for our long run. I was kind of dreading it and had some sort of pre-race jitters. I get all hyped up about a long run almost like I do about a race. A mile in I was already comfortable and fine. We were clocking in around 10 minute miles for the first part of our excursion. I had my headphones cranked and he opted not to bring his. He says he gets too warm with his headphones in, when the temps are high. This was nice, because I ran along the right side of the trail and he ran in the middle and could be aware and listen for bikes coming up from behind and tuck in behind me on the trail, to let them pass. 2.5 miles in, we were discussing our next long run our next kid-free weekend - 20 miles. I suggested that we add two miles to our run and he laughed at me, saying, "We are only 2.5 miles in, my dear". I was feeling great. So was he. At mile 7, we had reached Deerfield and stopped at a local park to use the restroom and refill our empty handheld water bottles. I also enjoyed a mint chocolate energy gel. I also splashed cold water over my arms, neck and forehead. He then took me up on my offer to run twenty miles with him. We headed further out on the trail, trying to reach the mile 10 marker. We had a great mixture of sun and (mostly) shade. We were both still feeling great and we turned around right at mile 10. We were still clocking in around 10 minute miles. I couldn't believe it. My legs weren't chaffing too badly for once, but my upper arms were getting red. I kept soaking up the sweat from my face into my shirt. I was grateful that I opted for a tank top instead of a tee. And it was nice to be running sans makeup, so that I could get all of the salt off of my face and out of my eyes. When we got back to mile 7 marker in Deerfield (fourteen miles), we stopped again to use the restroom, refill our empty water bottles and I took another energy gel. Hubby sipped on one energy gel during miles 10-14. I was grateful I had a second one. Then we headed back out for our final seven miles towards Cottage Grove. We continued to be pretty consistent with our pace, only starting to slow down around mile 16. 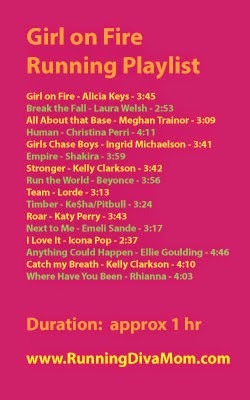 I told hubby that I was at the good part of my playlist and was feeling pretty strong. I felt like I still had some bounce to my step. He was starting to slow down and I could tell he wanted to run solo. I picked up my pace and ran ahead. About five or six times, I would run ahead to some shade and then run back to him. He was walking and out of water. I would then run ahead and continue to look back. He was running again. Walking again. Running again. I could tell the final two miles were a death march. My hip flexers started to hurt the final two miles, but I wasn't feeling terrible. I wasn't trying to push it any longer - just finish. My pace slowed to 11-12 minute miles the last few, but I was still feeling ok. I only felt nauseous during the last mile when we ended back up together. We finished in under 3.5 hours. We walked about a half mile together to cool down, each downed a large Powerade Zero, stretched in the shade, took some photos, reflected on our run and thanked each other for having the experience together. It's amazing all the ups and downs you can go through in 3.5 hrs. Overall, it was a great experience. I felt like we were really smart about it (other than getting out so late in the day). We stopped, we hydrated, fueled up, cooled ourselves down, hydrated again and he walked when needed. After our run, we opted to drive to Monona to Bourbon Street Grill for an outdoor lunch, while watching the boats drive by. We were stinky, sweaty and hungry. I was craving salt. The service was bad, our salty fries didn't come out early like I asked. Orders were wrong and I must have been a little disillusioned, because I asked for blackened chicken on my salad. I thought it smelt fishy, but didn't say anything. It wasn't until later, when my hubby mentioned the bill said blackened tuna, that I confirmed my suspicions. We got back in the car to head home and I could tell I wasn't feeling right after eating. I pulled out my sweat towel to cover my mouth. And, I quickly asked him to pull over. He did so quickly - into the parking lot of a church playground. He found me a picnic bench and rubbed my back - as my body got chilled, my legs filled with goosebumps, my eyes teared up, my nose dripped uncontrollably and eventually I vomited over and over again. After two minutes, it was over and I suddenly felt better. A van with a family inside pulled up next to us to play at the park. I was mortified. We went home and I continued to hydrate, showered, rested and went out for a nice, cool walk in the evening. I felt like we were smart with our run, and I felt great during the run. 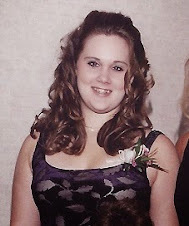 But, obviously it was just too much for my body that day. Heat exhaustion is seriously no joke. And if I am more prone to it now, I will need to be even more conscious of the conditions, when planning future runs and races. Well, big news! I signed up for Madison Marathon, scheduled for November 9. That's exactly three months from today. I declared after the New Year that I would NOT commit to training for another 26.2 mile event this year. But, I am. As some of my training groups have come to a close, I really have felt that I need something for me. Something to commit to. Something to force me to run longer than nine or ten miles. My husband is running two marathons this fall (his third and fourth marathons since he was bit by the running bug in 2012). I have been doing most of his longer runs with him anyway, so we might as well wrap-it-up with a 26.2 mile run together on a kid-free weekend in November. I am looking forward to it. And so is he. He ran a boatload of miles in Dallas, while he was out of town for work the past two weeks. I have been slacking a bit and running minimally, other than my coaching miles (once or twice almost daily). This weekend, was going to kick-start my running for fall and we have ten miles on tap for Saturday and eighteen planned for Sunday morning. This is really going to test my commitment to MYSELF. The weather has been absolutely beautiful in Madison the past few weeks. Beautiful mornings. Beautiful days. Beautiful nights. We planned to run ten miles this morning after Little Dude's final baseball game. We headed back home for a few last-minute adjustments prior to our run, including having me change from a technical tee into a tank top. I am really glad that I did. We filled up our handheld water bottles and were off. Around 10:30, we ran from our home on a ten mile route across town. It was already getting pretty warm and there were a lot of other runners on foot this morning. I had ran this route on my own a few weeks back and had one of my slowest runs - EVER. It took me 1:45 to run ten miles. I followed the next day with a 1:30 ten mile race. Every run is different. What would today bring? The sun was warm and we had minimal shade on our route. On the way back, we stopped at the library to towel off and refuel our empty handheld water bottles. Hubby tried out his new Saucony's, which he regretted and will not be using tomorrow on such a long run. I felt great. I felt a little slow at first and my watch definitely reflected those sporadic miles where I felt zapped with energy. 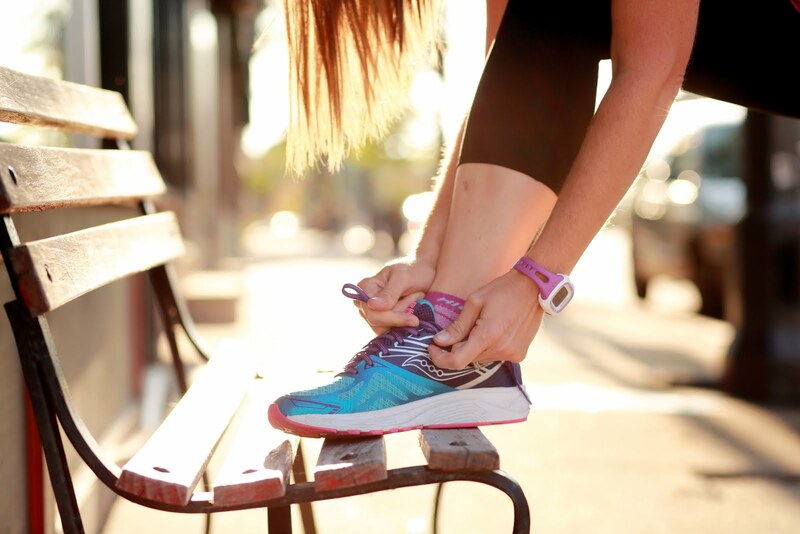 But a few sips of water, a great running tune with a consistent beat, and a positive attitude kept me going and helped me increase my footwork. We stopped at ten miles about two blocks from our home, enjoyed a cool down walk, some stretching on our deck and a Diet Mountain Dew, Powerade Zero and a plate of chips, guac and raspberry salsa. I am always craving my DMD and some salt after a good, hot run. 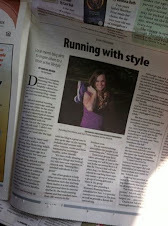 I was so thrilled to be interviewed by Abigail Becker of The Star recently. Her full article, Running with Style, was recently featured in our local newspaper in Sun Prairie, Wisconsin. Despite her complete Running Diva Mom persona—from her brightly colored tennis shoes to running classes and her running blog—Jamie Adcock was not always a runner. 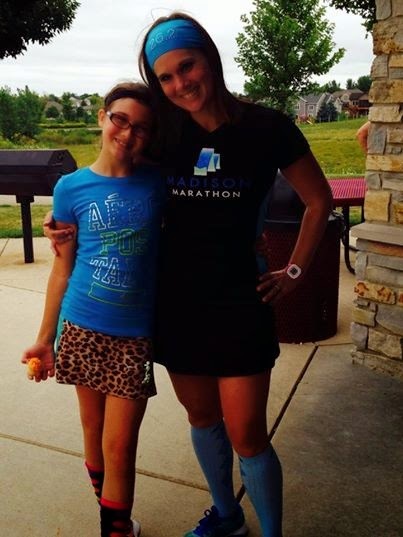 Adcock started running about nine years ago and said moms can relate to her story because she does not fit the mold of a stereotypical runner. 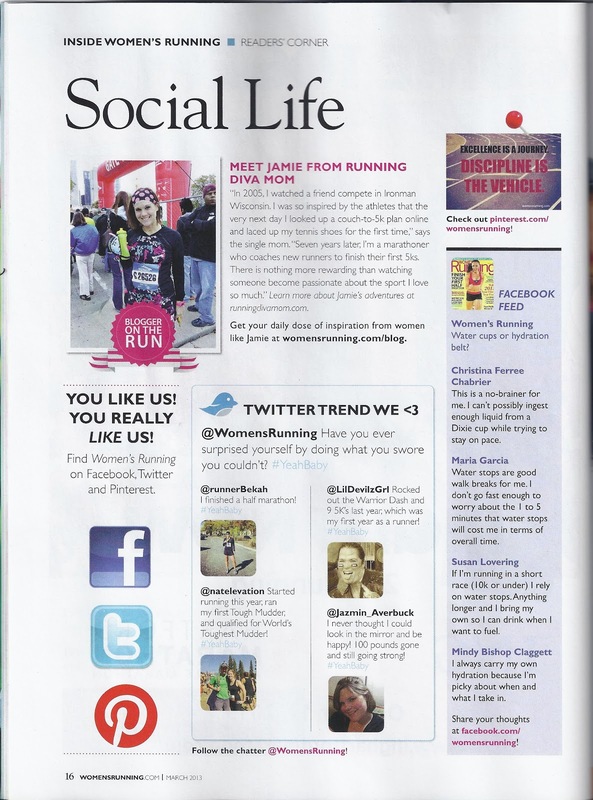 Adcock may be more well-known as the author of the Running Diva Mom blog, which has “exploded” since she started the site five years ago as a way to document her own personal training history. 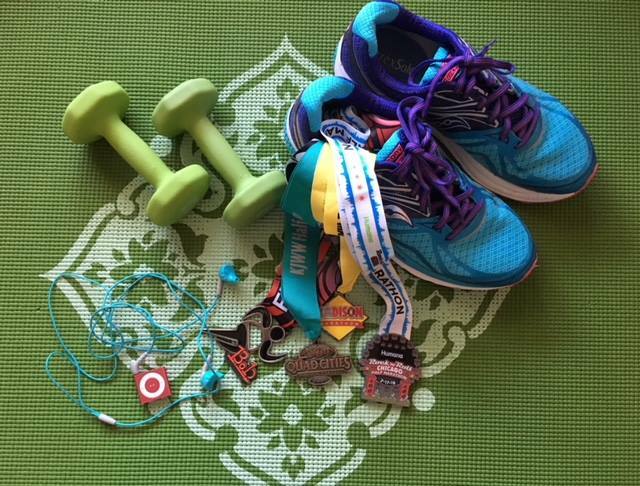 On the blog, Adcock writes about her own experiences with running, reviews running courses and races in addition to rating products. National advertisers have also taken notice of the site, and companies often send her products geared toward active families to review. 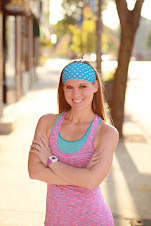 Adcock said keeping up with her blog is a great way to stay up-to-date on the running industry and connect with other runners, moms and those interested in pursuing a healthy, active lifestyle. 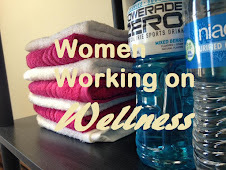 One of her goals is to help other moms carve out time for themselves each day and help them realize it is not selfish to take personal time to exercise and be fit. 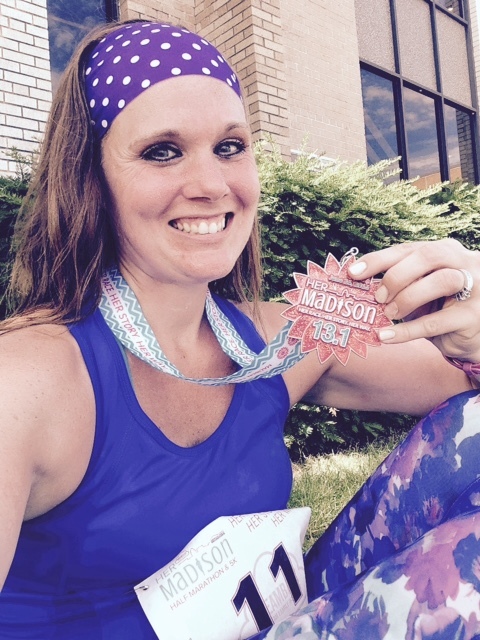 She leads running classes and has coached more than 500 women in the Madison area. “It’s an unintimidating atmosphere for people to try something new,” Adcock said. 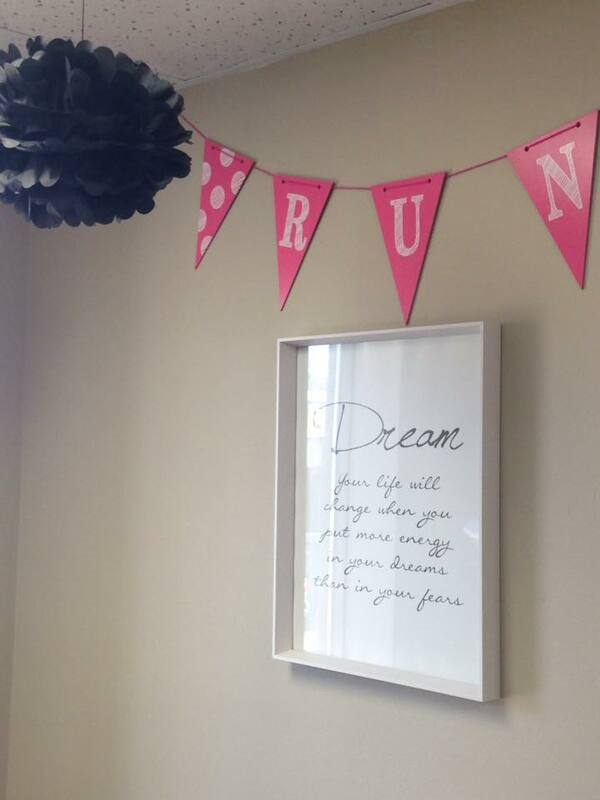 She is also planning a Women’s Running Retreat scheduled for Nov. 1 to provide resources to women in the area as well as provide a forum for networking. 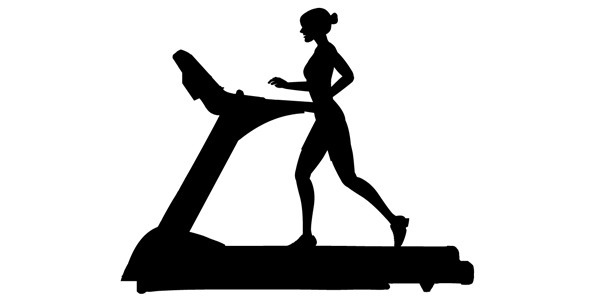 Although Adcock primarily works with women, men are welcome to attend classes such as one focused on stroller pushing, which is designed for the parent with young children still in strollers. 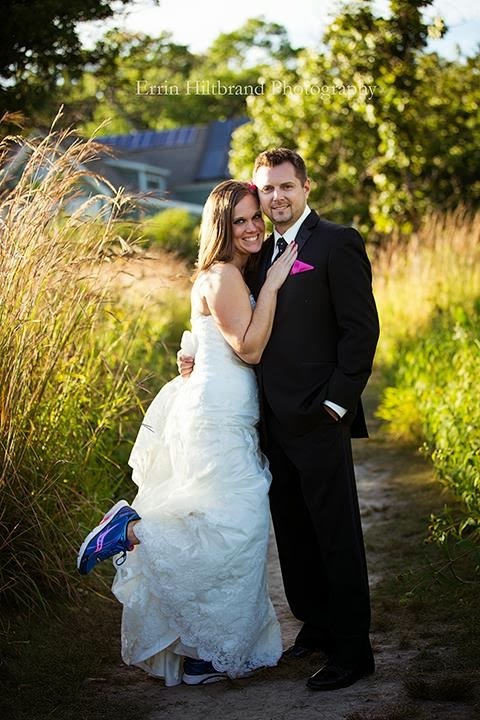 Adcock said her own personal running goals, routines and priorities have transformed her family. 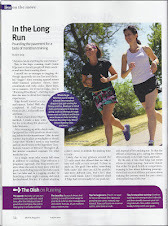 She has even influenced her husband to become a multi-marathon runner. While running has not always been Adcock’s passion, she has embraced all aspects of the sport: the health benefits, coaching, blogging and lifestyle. “I wasn’t involved in extracurriculars or sports because I was super shy and intimidated, so running has been a whole new outlet for me,” Adcock said. Running has provided an outlet for exercising and building community that has affected all aspects of Adcock’s life. 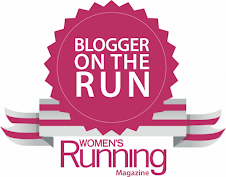 Check out Adcock’s blog at runningdivamom.blogspot.com. 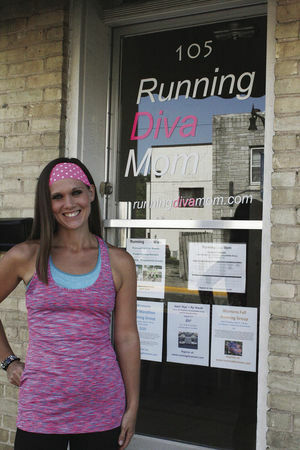 Hi, I'm Paige (aka Little Diva on my mom's blog, Running Diva Mom). My family made a summer bucket list. And I've been wanting to raise money for something important to me this summer. I hope you can come and help me raise money and be fit at the same time. 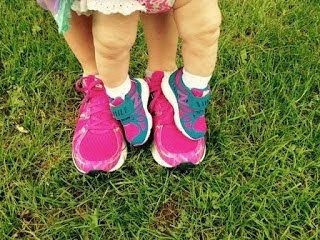 I am raising money for the American Family Children's Hospital and for Girls on the Run of Dane County. Please join my family for a 30 minute fun run/walk at Orfan Park on Sunday August 17th at 9:00 am. The address is 2050 St. Albert the Great dr in Sun Prairie. See the event on Facebook (HERE). Beginners and Walkers welcome. This is not a timed run, but if you would like you could bring a stop watch and keep track of your own time. This fun run/walk is $10 dollars per person and children are free. All profits go to these organizations. But please bring cash or check payable to my mom Jamie Adcock so that we can split between the 2 organizations. There will be give aways after the run.